Have you seen examples of Henri Matisse’s cut paper collages? They’re fun and whimsical. And, they’re easy to imitate. We decided to do a Valentine version in red and pink. We each made a Matisse inspired collage, perfect to display in February. 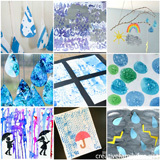 This open-ended art project is fun for kids of all ages. And, it’s low on mess! The messiest part was cleaning up our paper scraps. 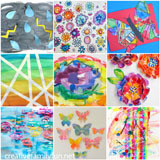 Before we began our project, we took a look at some collage examples from Matisse. Here’s some great information on Matisse written for kids from the Tate Galleries art museums in London. Once we looked at examples and got some ideas, it was time to start. Matisse painted the paper that he used for his collages, but we skipped that step and just used red and pink construction paper. 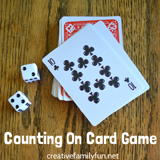 You can certainly do this, but it does take more time. There really is no “right” way to do this project. 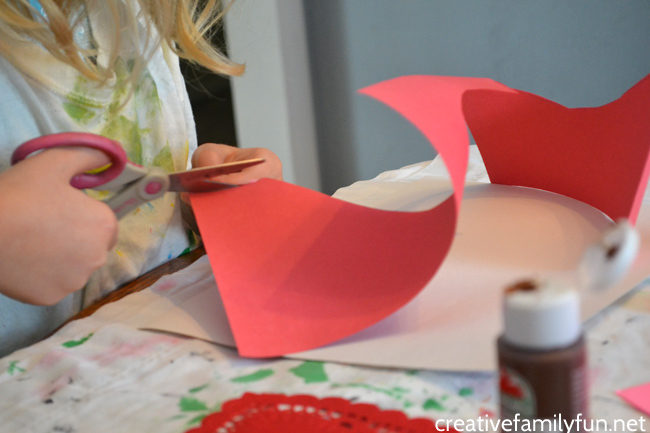 You can cut out all your shapes at once and arrange on the paper. Or do each shape individually. We did a combination of both. 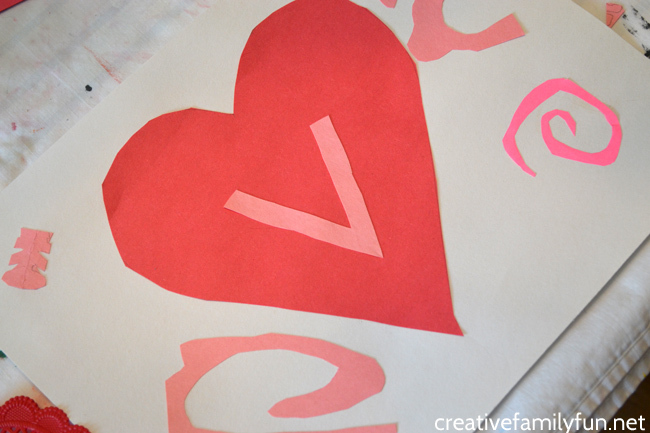 Since this project was for Valentine’s Day, we included a few heart cut-outs to go along with all of our other shapes. We cut and arranged. And, once everything was perfect, we glued it all down. And in the end, we had some awesome collages that we inspired by Matisse. We did our own take and each collage reflected our personalities. Isn’t that the best? 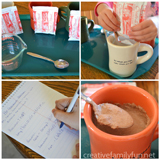 This art project was perfect for my elementary-aged kids, but you can certainly do this with younger kids. 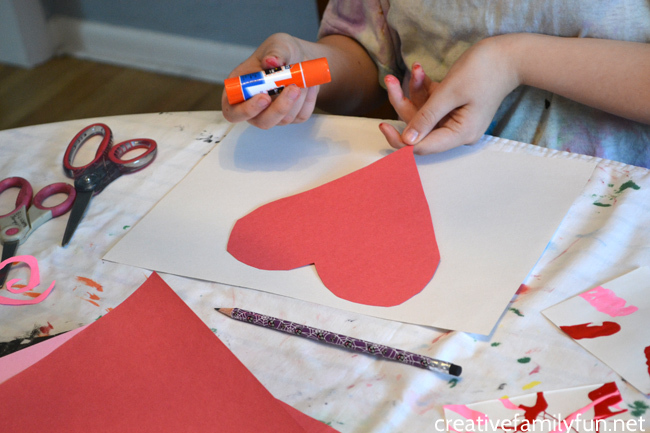 If your kids are comfortable with scissors (or are working on scissor skills) have them cut various shapes from your pink and red paper. Then, they can arrange them on paper and glue it all down. 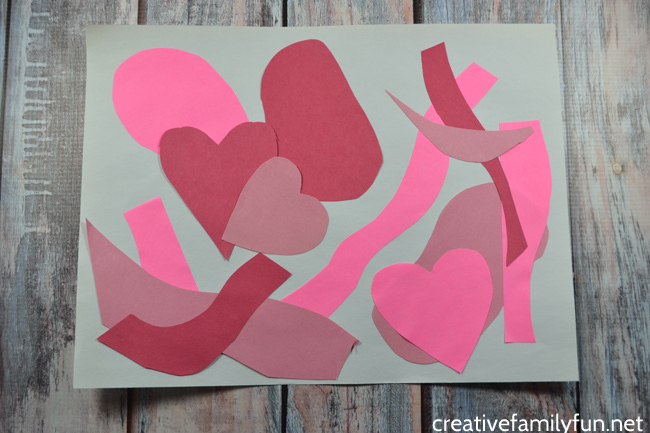 If your kids are too young to do the cutting, you can prep this project by cutting the shapes and then let your child do the arranging and gluing. 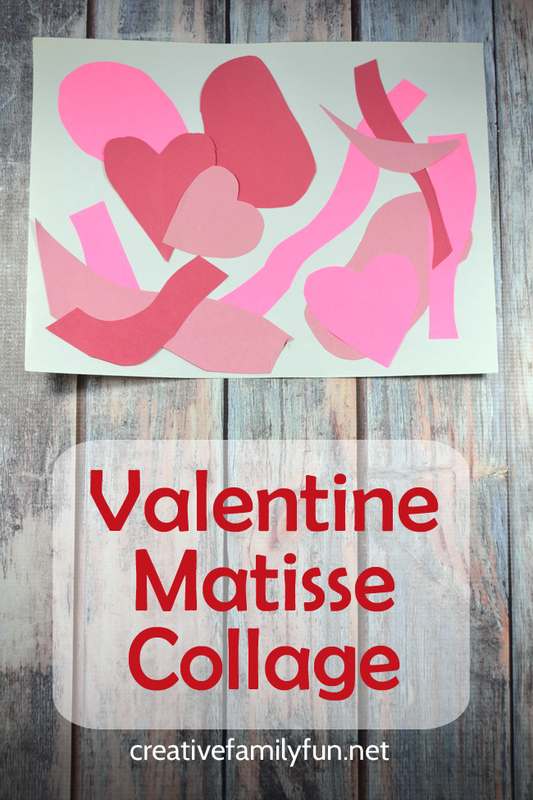 This Valentine Matisse inspired collage is a great activity choice for a group of mixed age kids!